One of the most popular areas, and considered the jewel in the crown by many, is The Heath. This area covers some 69 acres of land together with a 22 acre pond. 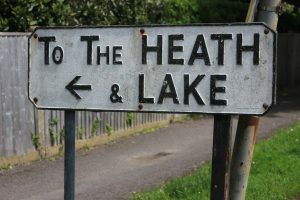 The Heath is just a short walk from the Town Centre and is the site of the annual Taro Fair, which is held on 6 October every year (unless a Sunday). This was originally a horse fair but is now a large fun fair with many sideshows and is enjoyed by many in the area every year. 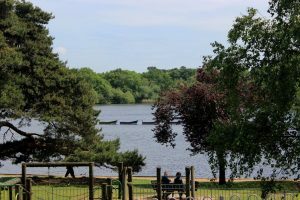 Boats are available for hire during the summer and you can purchase light snacks, beverages and ice cream from the Heath Kiosk (The Plump Duck). You can also fish at the Pond – a water bailiff will ask you to buy a day ticket for fishing. For more information on Fishing please contact The Heath Pond Association on 07920 102623. The Pond also provides a home for many species of wildfowl. If you wish to use your own boat on the Pond you need to purchase a boating licence. These are available for daily or annual use and are purchased from the Town Council. If you wish to purchase a licence, please print off the relevant form from the link below, complete and bring to the office and you will be invoiced for the amount due. 2018/19 Prices for an Annual Licence are £54.83 and a Daily Licence £6.23. Please telephone 01730 264182 for more information. Please note The Town Council offices are not open over the weekend. The Children’s play area is very popular with families. 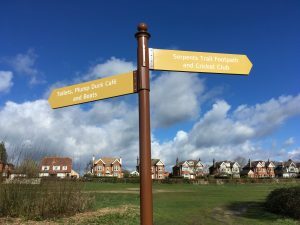 The Town Council is very grateful to the Friends of Petersfield Heath who take a very active interest in all that happens on the Heath.